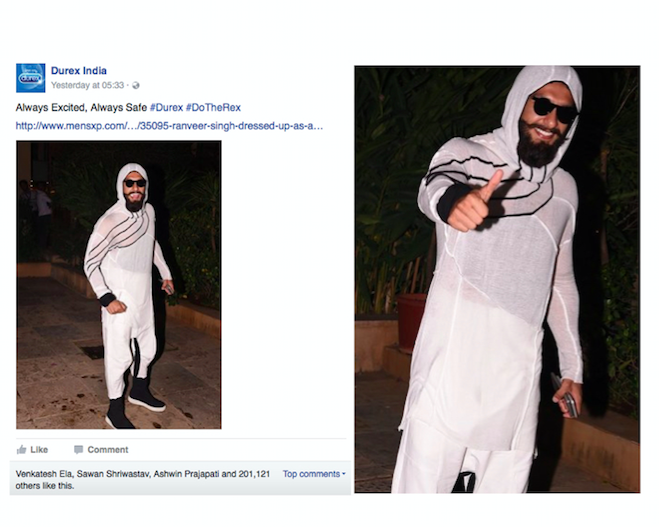 To give you a background, Ranveer Singh stole the thunder from Shahid Kapoor at his birthday party triggering a surge of witty and sarcastic condom-centric reactions from the twitter-verse on the choice of his outfit for the day. Deepika – Ok. Let’s do it. But wear protection, ok?